“India has won. Good days are coming again”, tweeted a beaming and victorious Narendra Modi. The Congress touched its lowest ever tally in the 16th Lok Sabha election, raising serious questions about its political future. The party failed to open its account in some states and could not reach the double digit in any state. The 128-year old party has been pulverised, the results corroborating it as a rejection of “dynastic politics”. 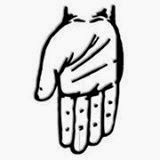 The last nail has been hammered on the coffin of the Congress party’s brand. People showed that they can be ruthless in punishing erring parties. The Congress party is synonymous with corruption. On the poll day, the people dutifully discharged their electoral obligations, remembering 2G scam, coalgate, CWG scam, DLF-Vadra scam …. the list is long. The BJP has finally become an all-India party, winning seats all over the country on its own, not in just a few states. The Sonia Gandhi’s Congress fought this LS polls not to win, but attempted more on a negative agenda – to prevent Modi from becoming the PM. They also mistakenly believed that the Advani-Modi fraction will play to its political gain. They did not show anything to convince about development, containing inflation and job creation. Prime Minister Rajiv Gandhi’s assassination over two decades ago created sympathy wave for his widow Sonia Gandhi. No such tragedy happened this LS polls. The Nehru-Gandhi label has lost its sheen in India. This election has recorded more of youth electorate, for many of whom Jawaharlal Nehru and Indira Gandhi are mere historical figures, and for others also it becoming a distant memory. It is also not surprising that Rahul Gandhi, given his political IQ, is unable to bring any significant impact for the Party in the recent polls. The anti-corruption movement initiated by Anna Hazare and subsequent emergence of Aam Aadmi Party (AAP) firmly generated the anti-Congress mood. The 2G scam (2010) triggered the momentum for the impending disaster. The think-tanks of the Party failed to foresee the writings, let alone take any corrective measures. They sucked and looted India like parasites. It calls for a forthright introspection. If you think of internal reforms, this is the first reform: Self-critique. The party is rudderless. When you are routed in an election so badly as the Congress has been, you might not even see yourself in the Opposition. “Enough was enough” is the resounding message of the people. A BJP victory can be synonymously dished out as Congress decimation. Interestingly, the verdict says it loud and clear that no price is to be paid to any LS Member to help forming a government. If Modi, in the next 5 years, doesn’t commit any blunders, even if he doesn’t do anything good to the nation, it will be good enough to bury the “dynastic party” to its abysmal depth. The political role of the Indian National Congress must have been long over. Mahatma Gandhi demanded this soon after India attained independence. The Congress today is only a fake avatar of the original Congress party of stalwarts and freedom fighters. Sadly, the bankruptcy of Congress has seen to it that it had to rely on foreign origin, once led by Mahatma Gandhi, Sardar Patel and the likes. Can new leaders be created? Is “Charismatic Priyanka” , wife of the land baron who is the very definition of cronyism, the answer for the future of the Party? That opens up a bigger debate. If yes, will it tantamount to undermining the Rahul’s role? Rahul Gandhi, probably a boy was sent to do a man’s job? The Gandhian appeal, name and dynasty suddenly and instantly crumbled. Or, Congress sans dynasty can make a better equation? Or does the equation opens up a choice of a defunct outfit? Let the national party sit in the Opposition for a full term and contemplate on quality governance. A tall ask, of course. For the Congress, the task is to rediscover itself. One way is the Party must cooperate in the House. A rethink from the Party’s perspective is certainly warranted, urgently. If you see in a different perspective, the Congress party has no worries about its future. If Congress tows the Nehru dynasty, the party has no future and has no worries. Whereas, if it builds up a new party independent of the Nehru family, then it needs to worry about how to contest and win the elections in the future. It was arrogance to the extreme when the Congress President and Vice-President showed no respect or appreciation of Indian voters for their democratic maturity. The two have clearly demonstrated that they don’t belong to this land. 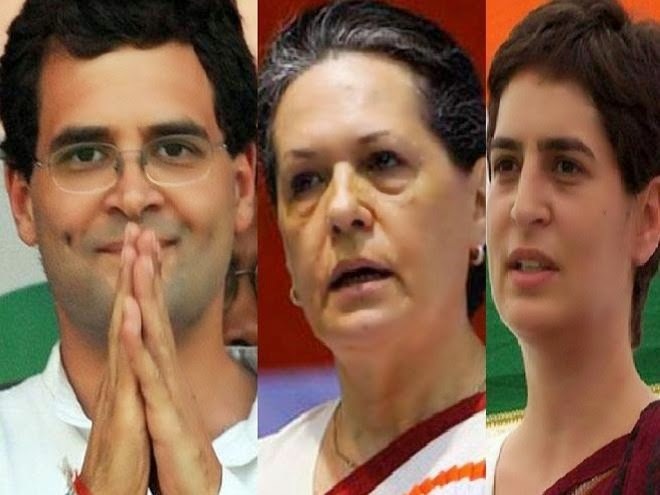 If any self-respecting Congressmen from the original Indian National Congress is still left in the Party, he should file a petition with the Election Commission to bar the trio (Sonia, Rahul and Priyanka) from using the Congress name any further. Those who offered tea-boy’s job will have to stand in queue to apply for sweeper’s job in Modi’s office. Mahatma Gandhi saw its birth. It will be Sonia Gandhi who will be overseeing its demise. It is a fall which will be good for the country. Amen. Politics: Does certified education really matter? Cricket: Where is the gentleman?